Click on the red artifacts in the Cathedral floor plan to find out more about them. 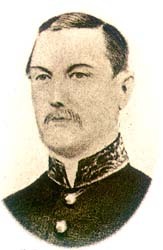 The building was designed by Colonel Ronald MacPherson (right) of the Madras Army. His memorial Cross (left) stands in the south lawn. The main entrance to the Cathedral is the West Doorway. Above it is the Gallery containing the Walker Pipe Organ. 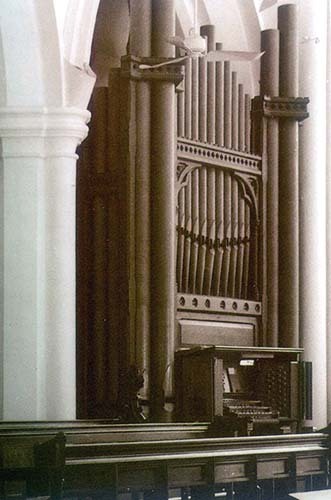 The original organ stood for many years in the gallery at the West end of the Cathedral, where the choir also sat. In 1929, Messrs. Hill, Norman and Beard of London and Calcutta built the present piece, incorporating part of the first organ. This instrument had three manuals and was electrically driven, but has since succumbed to the damp. 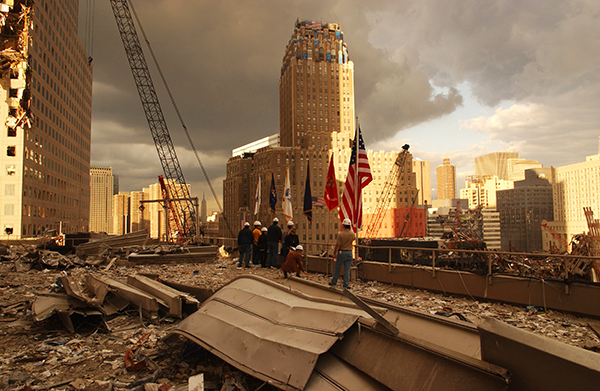 The spire rises 207 feet (63m). Housed in the spire are the Cathedral’s eight bells, the largest being equal in weight to No.8 in the peal of St. Paul’s Cathedral, London. Given in memory of Captain J.S.M. Fraser, H.E.I.C.S., they were cast by Taylor of Loughborough. After installation, it was discovered that the foundation of the tower would not stand the strain of ringing. The bells were then permanently fixed, their clappers tied, and they were struck with hammers instead, so that they still “chimed”. 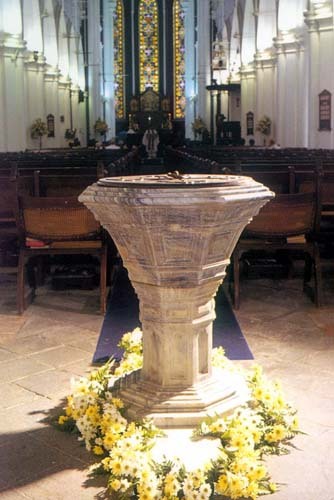 The Font, placed at the entrance to the church, for baptism, symbolises that entry into the Body of Christ is through Baptism. The Graham White Library, completed in 1952 is housed in the Memorial Hall, now known as the North Transept Hall. The 27,000 names of those Asians and Europeans who gave their lives are recorded in the Book of Remembrance kept here. 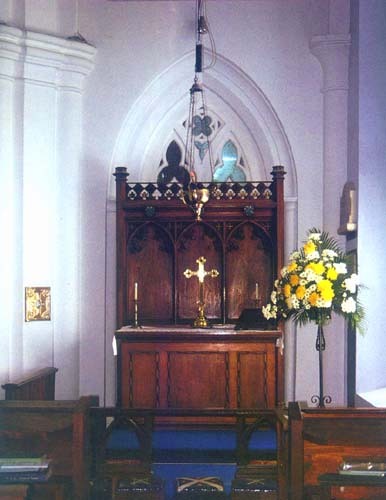 The pulpit and the Lord’s Table together symbolize the 2 main elements in Anglican worship - the Word and the Sacrament. On the Lord’s table the bread and wine are placed in accordance with Jesus’ command: “Take eat… this is my Body given for you… this is my Blood shed for you. Do this is in remembrance of me.” This is called the “sacrament” of Holy Communion and because it is the central act of our worship, therefore the Lord’s Table is the centre and focal point of the whole building. These stand on the Lord’s table and on the high altar at the East end of the Cathedral respectively. They are made of silver-plated bronze and were designed and made for the high altar in 1955 by Walter Frank Knight of Wellinborough, England. They were presented in January 1942 in memory of many hundreds of men who lost their lives at the sinking of HMS Prince of Wales and HMS Repulse. This is also used for worship services. 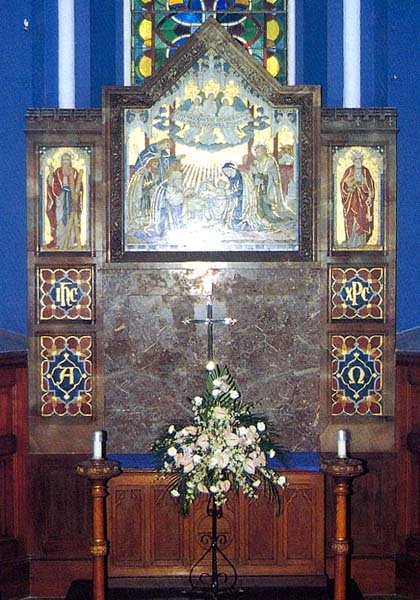 It is so called because of the reredos at the East end: this is made of alabaster and the mosaic (made in Italy) shows the worship of the shepherds at the birth of Christ in Bethlehem. 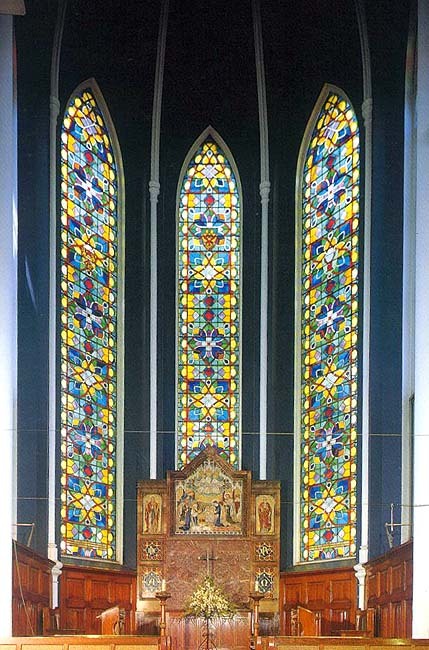 It was designed by the architect, Sir Reginald Blomfield and erected in memory of the wife of Bishop Hose in 1905. The Centre Light is to the memory of Sir Stamford Raffles, founder of Singapore and was dedicated to him in 1961. The North Light is to Sir John Crawford, Governor of Singapore 1823-1826 and the South Light is to Maj. Gen. William Butterworth, Governor, 1843-1855. 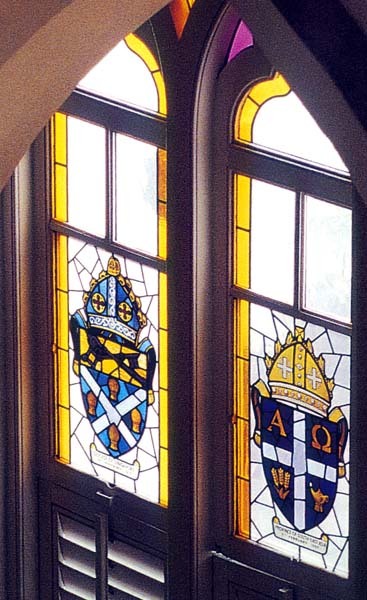 Their coats of arms are borne in the upper portions of the stained glass windows. 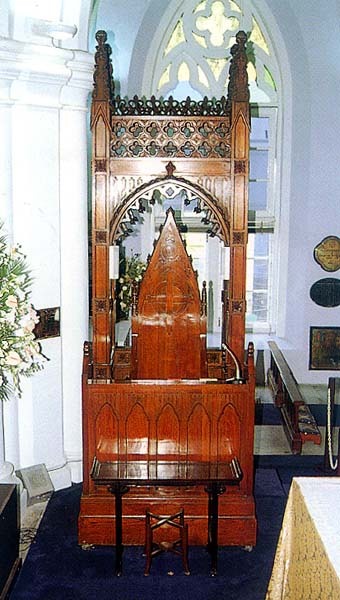 The Bishop sits on his throne at all official services in the Church. 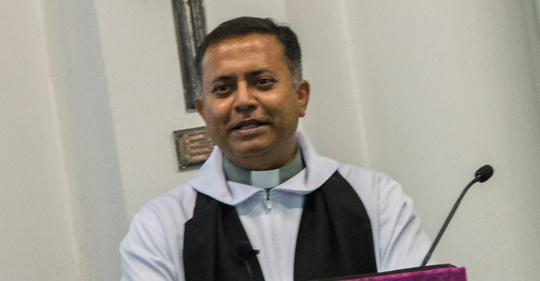 He is the chief pastor and head of the Anglican Church in Singapore. i.e. 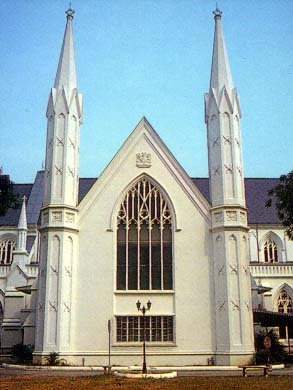 the Diocese of Singapore. Made in Sri Lanka in 1889, it was given by a former Governor, Sir Cecil Smith. The preacher stands here to preach the Word of God. Behind the pulpit is the Coventry cross. The cross is formed by nails which came from the ruins of the Coventry Cathedral, destroyed by bombing in 1940 during World War II. It is a symbol of our need for reconciliation and God’s provision in His Son. This is used for weekday prayers. 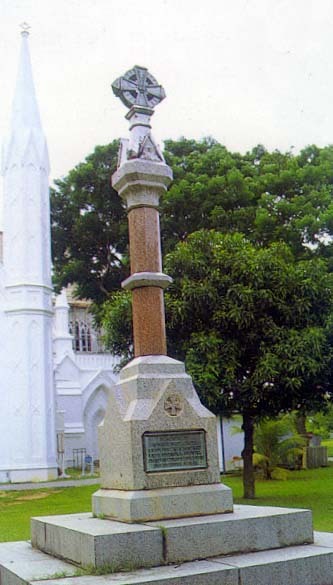 It incorporates the memorial erected in the original St. Andrew’s Church on the same site in 1846.